Foot Fungus Prevention Rule #1: Buy a Pair of Shower Shoes. Shower areas are the most common transmission space for foot fungus. “Fungus prefers darker, damper environments,” Dr. D.C. Dugdale, MD, professor of medicine at the University of Washington, explains. So it makes sense that a shower would be the ideal place for a fungus to thrive. 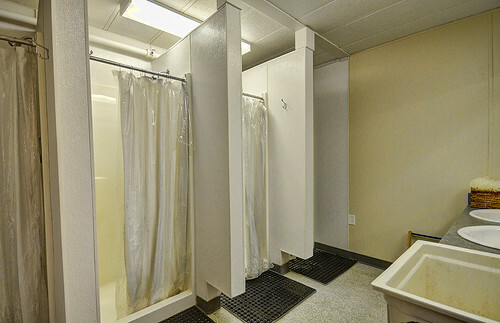 The floors of communal showers rarely have a chance to dry out, and are often shielded from light due to shower curtains or absence of windows. Wearing sandals, flip-flops, or water shoes in the shower is an easy way to protect yourself, experts say. Foot Fungus Prevention Rule #2: Give Yourself a Little Breathing Room. You may think, “Well, I will never develop foot fungus if I keep my feet protected at all times!” However, it doesn’t always work that way and you shouldn’t assume that you are protected if you keep your feet within socks all day. Fungal spores are tiny and can easily make it onto your socks. Once inside a shoe all day every day, the fungus enjoys warmth and darkness, allowing the colony to multiply. NYC Podiatrist Dr. Oliver Zong recommends wearing sandals or going barefoot while studying in your room to let the feet air out a bit. Foot Fungus Prevention Rule #3: Practice Proper Foot Hygiene. Wash your feet daily with soap and water. If you have chronically sweaty feet, you may need to throw an extra wash or two in there. Sweaty socks are a breeding ground for infection, so you’ll want to change your socks halfway through the day if your feet are feeling damp. After showering, use a towel or hair dryer to make sure the feet are completely dry before throwing socks on. Antifungal powders can be sprinkled in socks and shoes to discourage fungal growth as well. Fortunately, there are a few low-cost treatment methods if you’re on a shoestring budget or trying to pay off student loan interest while still in school. For an itchy, scaly, red athlete’s foot rash, you can discreetly order a tube of Tinactin through Amazon for $12 without a prescription. Do you have red, scaly, itchy patches between the toes? It could be athlete’s foot fungus! It’s harder to find a quick, low cost fungal solution if your problem is the yellow, crustiness known as toenail fungus. Typically, you’d need a prescription like Lamisil from your college clinic physician. However, some people try to treat the fungus at home using remedies like corn meal, vinegar soaks, or Vicks Vaporub. Although some may claim these home remedies do the trick, it is important to keep mind that their effectiveness has not been proven by science. What we do recommend is that you invest in a SteriShoe UV shoe sanitizer if you are prone to getting foot fungus infections. This UV light device kills 99.9% of fungus, bacteria and viruses living in your shoes within 45 minutes. It also works wonders on smelly shoes by killing odor-causing bacteria! Flip Flops: A Danger to Your Health? Popular Footwear Provides Haven for Ba... Spa Stigma: Can You Get Your Nails Done If You Have Toenail Fungus?